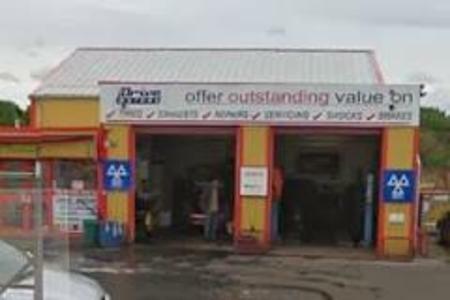 Drive Motors is an independent garage based in Blantyre, Glasgow specialising in motor repairs, servicing, mechanical work, body work, MOT's and car diagnostics. Not only we offer car repairs in Blantyre but also in further afield, such as in Hamilton, Bothwell and beyond. We have been trading for over 20 years and are an established business offering fast, friendly and efficient service with all our parts and work guaranteed. We cover the areas of Blantyre, Hamilton, Cambuslang, East Kilbride, Rutherglen, Motherwell, Airdrie and Coatbridge. Do you have a dodgy oil light? Have you put diesel in your petrol fuel tank? At Drive Motors, we can sort everything from your engine to your exhaust. Our highly trained technicians can carry out all sorts of mechanical repairs to all vehicle makes and models. Our work includes: Engine; Brakes; Transmission; Steering; Airbags; Suspensions; Electrical; Clutches; Tyres; Wheel Alignment; Wheel Refurbishment; Exhausts; Air Conditioning. We provide detailed quotes for parts and labour for your approval prior to commencing any work. We are a local business servicing clients throughout the local area, stretching throughout the central belt of Scotland. We rely on our reputation and we can provide numerous testimonials to support our outstanding work. At Drive Motors you can relax and enjoy Billy's Snack Shack in our comfortable waiting area. Why not drop in for a Krispy Kreme doughnut? And that's not all next door there is LB’s Hair and Beauty studio. Offering unisex hair and beauty services including make-up, nails & eyebrow waxing. We look forward to giving you a warm welcome - and make sure to take a look at our latest reviews, too. It truly is a "one stop autoshop"